Look at it this way: through matches with RSL, the Galaxy, and at Sporting KC, the Timbers are undefeated. Blanking a good team on the road in a tough venue is quite an accomplishment. Marching into Sporting Park and holding the home team to two shots on goal is other-level good. 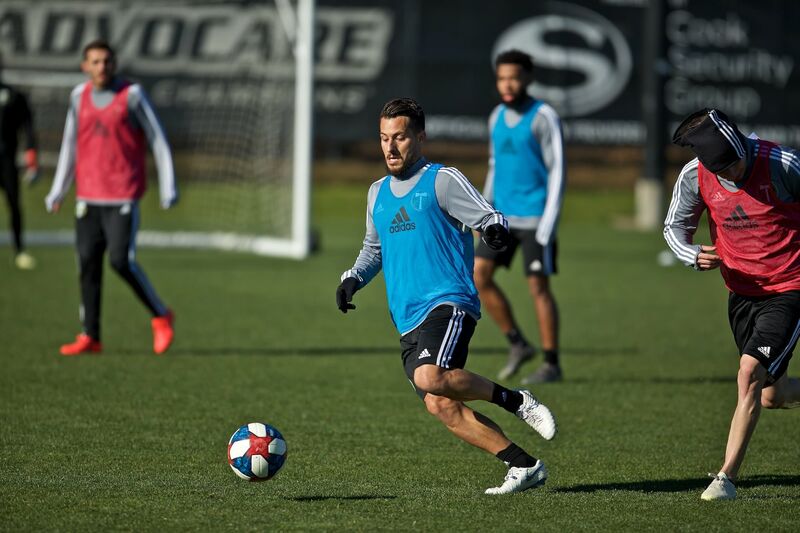 Prior to Saturday’s showdown at Sporting Park, the Timbers had conceded all of two goals, and in so doing, locked down star attackers Alvaro Saborio and Robbie Keane. SKC’s dynamic duo of Dom Dwyer and Graham Zusi recorded three total shots, none on goal. Add two more stars to the “no sniff at goal” club. The head of centerback Ike Opara ultimately produced the Sporting’s best chances, one in each half. A late chance fell to another defender’s head. All three golden opportunities, however, came off of set pieces, an aspect of Portland’s defending that remains a lingering concern. It has to be said that the Timbers created about as many chances as they gave up. Portland’s offensive numbers were nonetheless solid: possession ended 50/50, and the Timbers out-passed SKC 392 to 388, with 77% accuracy. There just wasn’t much of any bite on the business end of the field. A 31' Jack Jewsbury kick, headed at goal by Nat Borchers and a 60’ Fanendo Adi effort was just about all the men in green could throw at Luis Marin. Holding SKC to two shots is fantastic, but mustering only three yourself isn’t the way to win a road game. On the heels of a toothless attacking effort, reinforcement is on the way, in the form of 25-year-old, Ghanaian winger Ishmael Yartey. Perhaps if the Timbers had held on to beat the Galaxy, or found a way to sneak one past Nick Rimando in week one, this draw would be hailed as much more of an achievement. Instead, it’s “another draw”. While it took 13 weeks for the Timbers to record their first shutout last season, they already have two in three games, and are well on the way to passing last season’s total of six. Two of those six happened to be matching 3-0 wins against Vancouver. 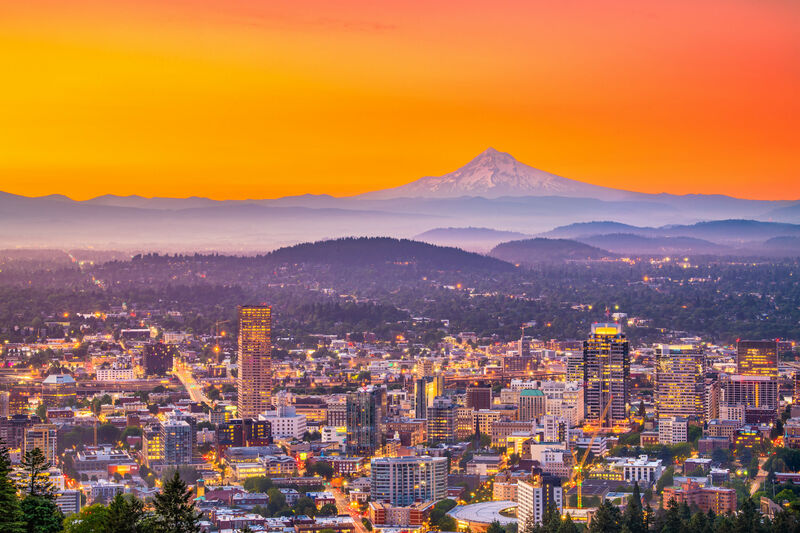 With the season in need of a bit of life, there’s no better way to give the Timbers a jolt of energy than a Cascadia showdown. 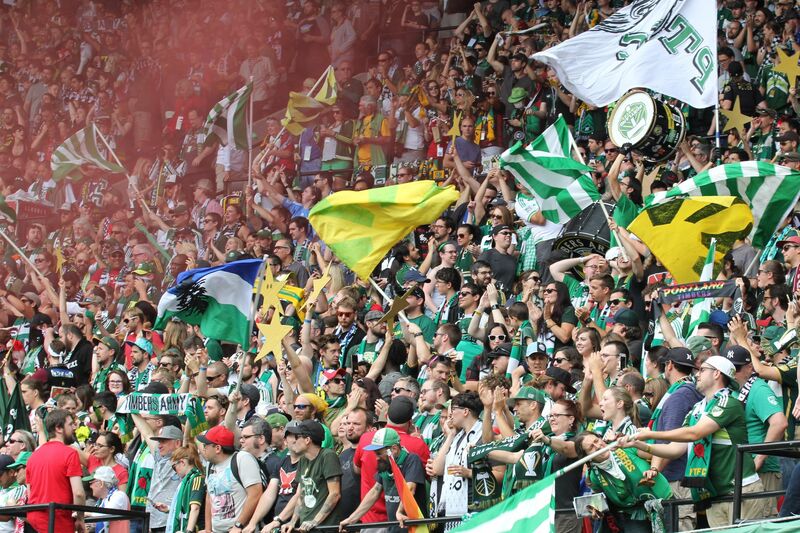 The trip to “our house in the middle of B.C.” is one of the great away days on the Timbers calendar, and the Timbers have historically had a good amount of success at B.C. Place. After being dropped 3-1 at home by the new-look TFC, the Whitecaps rebounded with back-to-back 1-0 road wins in Chicago and Orlando. The latter was a Timbers-esque stoppage time header from new DP striker, Octavio Rivero. The Argentine’s third goal in three games broke Orlando City’s hearts, and earned his team a hard-fought victory, as far away from home as one can get in MLS. The question is: which result speaks louder, defeating the lowly Fire and expansion Orlando, or losing to loaded Toronto? 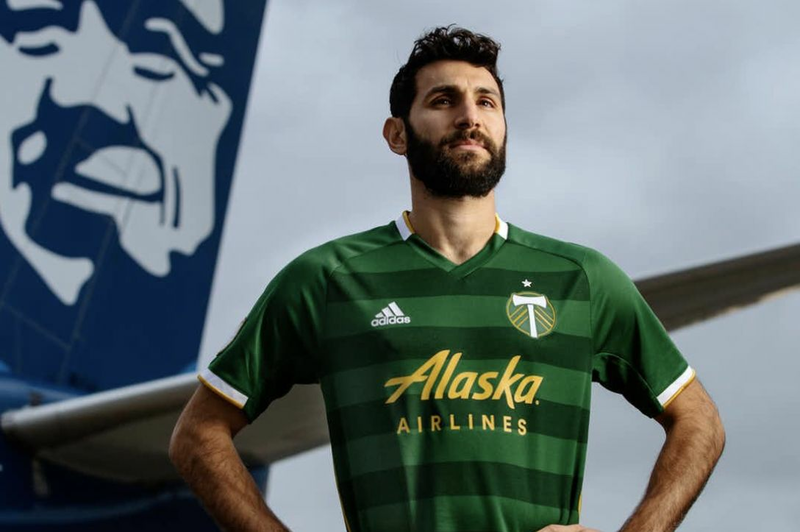 In a week where nearly every MLS team is forced to deal with players missing on international duty, Portland and Vancouver are strongly affected, but are also left dealing with injuries in key spots. The Caps will be short holding mid Russell Tiebert and striker Darren Mattocks, away on international duty with Canada and Jamaica respectively. Defender Sam Adekugbe, who started at right back at Orlando City, will also be forfeited with a rib injury, and midfielder Mauro Rosales is out with a sprained right ankle. Gambian speedster Kekuta Manneh is also suspended for “serious foul play”. Newly-signed forward Robert Earnshaw may play a larger role than previously expected, though as a sub. Caps head coach Carl Robinson is a fan of squad rotation. On Saturday, he has to be. With his available depth depleted, Gershon Koffie, Nicolas Mezquida, and now Erik Hurtado will be plugged into the midfield. The short-handed Caps remain very dangerous, especially in the attacking half. The previously-mentioned Rivero has three goals in as many games, two of which were game-winners. Pedro Morales, consequently, is off to a slow start, but remains one of the better attacking midfielders in the league. One Cap who likely won’t start is defender Pa Modou Kah, who didn’t travel to the match in Chicago and has fallen out of favor. Diego Rodriguez will likely start alongside Kendall Waston. At least that’s one former Timber who won’t come back to haunt his old club. Caleb Porter’s selection problem goes well beyond losing Alvas Powell to a Jamaica call-up. Word recently got out that Jack Jewsbury, who has filled in so admirably in the holding mid, showed concussion symptoms after the Kansas City game, and is now a doubt for Saturday. Prior to this news, Jewsbury looked to be the obvious choice to slot in at right back in Powell’s absence. With a decimated midfield, the Timbers could start George Fochive alongside Diego Chara, and rookie Taylor Peay at right back. 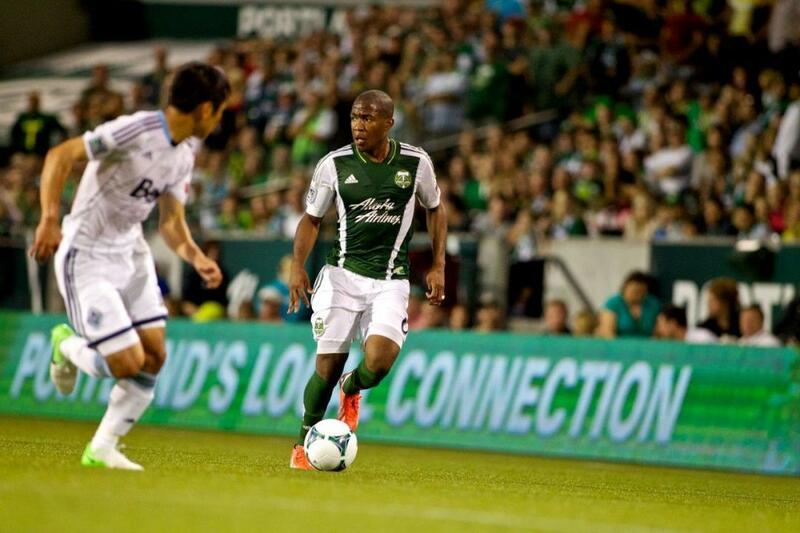 Can the Timbers pull off an outstanding defensive effort yet again with a defensive player making his MLS debut? Thankfully, the defensive core remains in tact. As long as Kwarasey, Borchers, Ridgewell, and Villafaña are at their best, the Timbers will be difficult to break down, as they have been all season. Derby games are where the stars need to shine, and the focus will be on the Timbers skilled-yet-enigmatic attack. Vancouver games tend to be wild, and they produce goals. The Timbers have a great record all-time in B.C. and this could be just the cure for what ails Portland’s offense. Whether this match follows the usual goal-producing arc, or if we’ve just jinxed everything and the match ends scoreless, Timbers and Whitecaps faithful are bound to be on edge.